MAHARISHI AROMA THERAPY SERIES #52: Learn in this video about the special healing properties and application of Eucalyptus Citriodora Essential Oil. 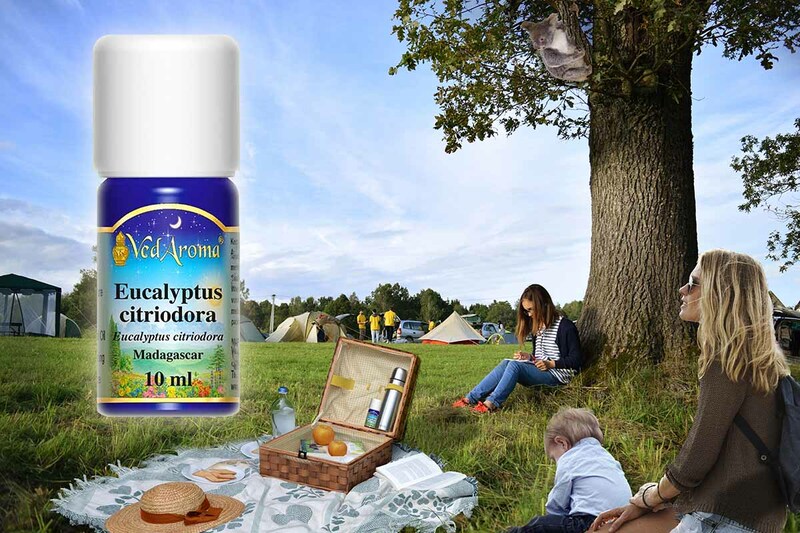 Subscribe to our Newsletters to watch this video series, and indicate in the comments field if you would like to watch the video on Eucalyptus Citriodora or any other Essential Oil. Eucalyptus Citriodora (Corymbia citriodora) also known as Lemon-scented Gum, or Blue spotted gum, is a majestically tall tree, growing to 35 meters! (115 feet) in temperate and tropical climates, such as north eastern Australia. On a dewy morning or after rain its lemon-scented leaves FILLS the air and delight the senses! Eucalyptus citriodora is an important forest tree, in demand for timber and for honey production. Its oil is used in perfumery, and a processed form of this oil, the Citriodiol, is used in insect repellents, especially against mosquitoes. Dr. Prathmesh Vyas on this video, says that when you’re out in nature it has a double action: it protects you from bites and insects and at the same time because of its wonderful lemony scent it makes you refreshed, happy and enthusiastic. And as well it helps clear respiration and helps with bronchitis. It relieves arthritis and back pain, and it is effective against fungal infection, especially nail fungal infection. For skin application and to protect from insects (Mosquitos) bites – dilute the Eucalyptus Citriodora oil 2-3% in a base of coconut oil (approx 6-10 drops in a table spoon of Coconut oil) and put on the skin. Aroma: Fresh, Citronella-like fragrance with sweet balsamic undertone. Dr. Prathmesh Vyas, an international Maharishi Ayur-Veda consultant and a Maharishi Aroma Therapy Consultant, has firsthand experienced the beneficial results of using VedAroma essential oils for prevention, healing, and maintaining balance. In this video series, he shares his wealth of knowledge and experience. Essential oils are powerful substances that are able to influence our physical, mental and emotional well-being in a very profound way to enliven the body’s inner intelligence and restore wholeness and balance in body and mind. The most beneficial effects are achieved by using therapeutic grade, highest quality, certified organic essential oils such as offered by VedAroma. Enjoy Nature’s Most Precious Gifts! Our gain is your blissful health! All profits go to support programmes for World Peace. Enter your email address to subscribe to blog and receive notifications of new posts by email. © 2019 - Maharishi Foundation Ltd and Maharishi Vedic Organics Europe Sagl.